Represented across three stands, and on the water, Barrus will be featuring the latest line-up of products at this year’s Southampton Boat Show, offering the leisure boater and commercial user an extensive choice of marine engines, boats and accessories. 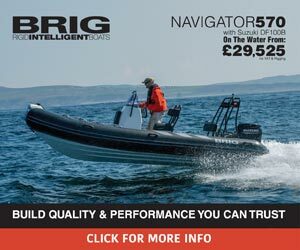 The next-generation Mercury outboards will be making their UK debut, with a multiple line-up of Verado, FourStroke, Pro XS and SeaPro V-6 and V-8 models ranging from 175 to 300 hp. On the Quicksilver boat stand, the Activ and Captur Pilothouse ranges will be showcased, with models ranging from the versatile and sporty Activ 555 Open to the top-of-the-range Captur 905 Pilothouse designed for serious fishing combined with comfortable, performance cruising. New Quicksilver models will also be making their debut. Among the Mercury systems on display will be Mercury Active Trim, an RPM- and GPS-based control system designed to deliver instant and effortless automatic trim, and Mercury VesselView, a next-generation multifunction engine information display system that provides enhanced information and data on boat and engine functions. To find out more visit www.barrus.co.uk.